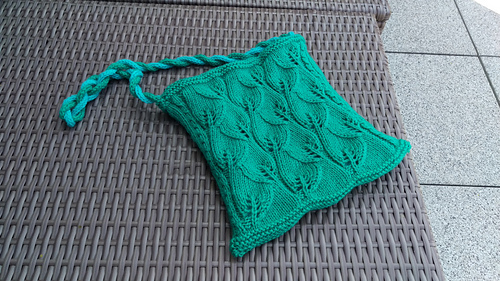 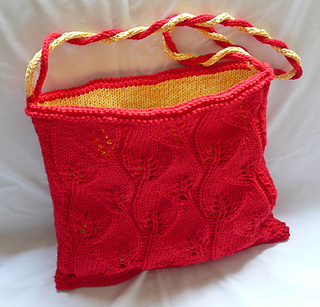 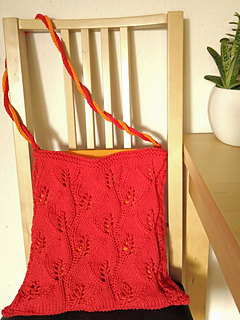 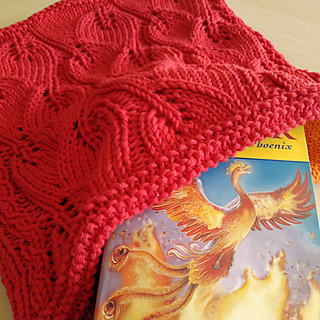 The lace pattern on this bag and the contrast colour that can be seen through the top layer give the impression of flames and feathers, as on a Phoenix. 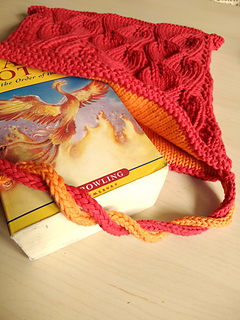 The two layers make the bag a bit more sturdy than just one, but it still stretches so you can fit a lot into it. 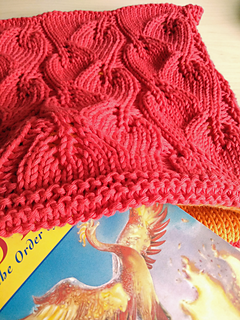 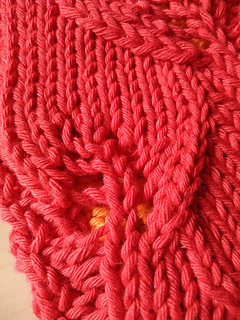 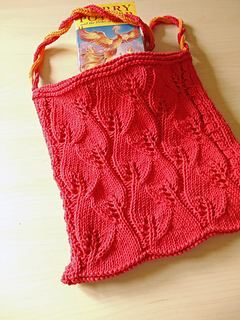 Gauge is not crucial here, but it might affect the size of your finished bag and how much yarn you need.